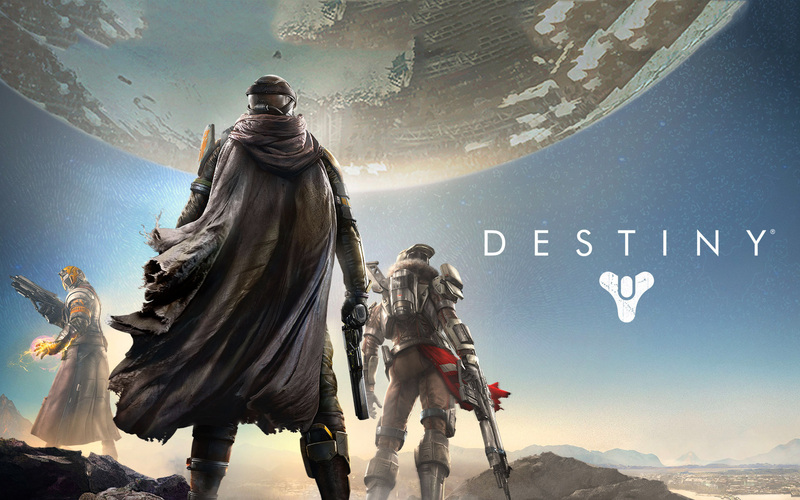 Destiny Beta First Impressions: What More Can You Ask for? What will half a billion dollars buy you? If Destiny is any indication, not much in the form of creativity or novelty. Destiny upon reduction is first and foremost a product. Although I’m discussing the beta, it’s impossible that significant mechanical changes will be made to the game by its September release. There’s an obvious tension between obtaining the $500 million that’s purported to finance Destiny and the desire for a game that feels new. Destiny is a case study in the inability to reconcile this tension, the commodification on an art form, and the understanding that many are playing to satiate their egos. Playing through the first level was even more underwhelming than I expected. This air of déjà vu and mediocrity permeates the majority of the game’s introduction. The lore seems hallow. The “chosen one,” Manichean narrative drones on while I giggle and wonder if anyone else thinks this is lame. Peter Dinklage’s voice acting sounds like it was done in one takes on a plane ride between Game of Throne’s sets. The missions alternate between go here kill this thing and go here and defend this thing while you kill things. These elements are on the surface, readily available for you to critique, but was there something I was missing? Surely with all that money and talent, innovations were brought to the genre. And there are a few, which operated well enough to keep me playing the beta for all its available days. Putting aside the PR speak that uses terms like “share space shooter,” Destiny is an MMO, but a sexier than average one. It has succeeded in democratizing an obtuse, systems and menus heavy genre into something palatable to the masses. Destiny is an MMO for the people. I’m sure many will cry foul and proclaim it has no depth because hours aren’t spent in spreadsheet UIs, but I for one find it refreshing. By forgoing the cumbersome interactions that are at most times there to create a sense of progression, Destiny leaves more time for the killing, looting, leveling, and socializing with denizens. The latter surprised me in how gregarious players were in the game. People are there for a good time, and don’t mind looking silly to accomplish that. One of my favorite moments was during a PvP fight on the moon. A glass window stood between me and an enemy. Instead of expressing hostility I waved at him and to my surprise he returned the greeting before we attempted to murder each other. Aside: The announcer voice is probably one of the worst in PvP history. The VO sounds like it belongs narrating a PBS special, not a competitive deathmatch. On more than one occasion, I was able to start impromptu dance parties with a dozen people in the last city on a earth, the Stormwind of Destiny. We’ll leave out the fact and accompanying gender analysis that because I was playing as a female avatar who happened to like to get down, male avatars continued to insist on gyrating their hips in front of me. The socializing extends to special in-combat events that will pull together numerous players in the same space to collectively accomplish one goal. The game’s social components foster a greater sense of allegiance than expected. Supporting this sense of community is lobby-less matchmaking that is so fluid and effective that it undermines its own impressiveness. Borderlands + Halo + COD is the comparative formula we’ve all heard. Is the description fair? In some ways yes, but I think the more important question than this insistence on comparing it to past shooters is whether or not Bungie has create combat that is distinct? It’s as smooth and punchy as we envisioned. The gunplay and level design has the world class studio polish that was absent from Borderlands. Furthermore, the loot means something because each mission isn’t over-saturated with junk collectibles. When you find loot it’s almost always better than what you have, keeping you from having to participate in a retail inventory management simulator. The one distinguishing factor in the combat is the use of active powers that require cool downs, creating situations that play out more like a fighting game or a MOBA than a twitch FPS. What is very much inline with the FPS tradition is the individualistic ideology that permeates the game’s representation and narrative. A hero’s journey (if you could really call it that in the traditional sense) like the one in the Halo drives the lore and context in Destiny. It stands out in how blatant, contradictory, and metaphor breaking it operates against the gameplay. Bungie asks you to believe that you are the chosen one with your own unique “ghost” (AI companion), that you alone with the help of your sidekicks will save the world. The studio expects you to buy into all this while you continually run into reminders that every single person around you is being sold the exact same mission. In other words, they’ve shoehorned a single player campaign into an MMO, into an inherently social space. This poor orchestration disempowers the narrative and reinforces the notion that Destiny is a product first, artistic expression 2nd. But then again, allowing you to lone wolf in a genre that is community centric may be Destiny’s saving grace and contribution. It’s likely that this first impressions review of the beta will be able to function as a review of the game proper. What else can they do in two months? And more importantly, what else could we have asked this game to do? I’m ambivalent because some aspects of what we had access to seem as uninspired as Peter Dinklage’s voice acting. Then there are the moments where the game triggers those Pavlovian responses that have me thoroughly enjoying its robust combat, looting, and leveling. With $500 million dollars of development and marketing on the line, Destiny is the B2C (business to consumer) game. I’m certain there are a plethora of innovative calculations and metrics tracking going on in the backend that like a warranty guarantee you’re having good time. The amount of content this game will ultimately offer to the player will most likely be unprecedented. The question remains: Is there enough here, not in quantity, but in depth to maintain propulsion for the allotted 10 year lifespan of an MMO? But cynicism aside, for what pleasure Destiny does provide, what more can you ask for?